Proximity to Bourbon Street is impeccable considering it turns into Pauger Street after crossing Esplanade Avenue. Within a block and a half of the upcoming N. Rampart/St. Claude street car line scheduled to open in summer of 2016. Street car will connect to the Central Business District (CBD), and other street car lines such as Loyola St., St. Charles Ave., and Canal St. Shaded backyard with huge Pecan tree. 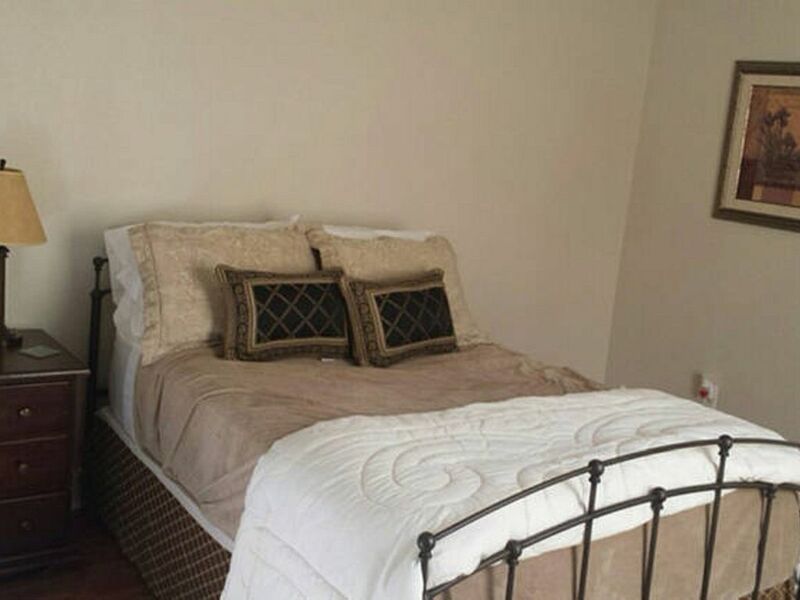 The unit offers 3 bedrooms, one living area, one bathroom, and a kitchen. The property includes (2) full size beds and (2) sleeper sofas. The property features a gated backyard, wireless internet, and accommodations to come and enjoy the city. I can sleep up to 8 people if but my neighbor can also accommodate up to 8 guest, please let me know if your interested in bringing additional guest. I enjoy traveling both domestically and internationally with friends and family to designated locations. Interest in genealogical research, environmental impacts, and history. I also enjoy vacations that involve water recreation. Looking forward to an opportunity to explore your city and to host you at my loving home. This property is unique because of it's proximity to the main events within the city. The property is a short 10 min walk to the French Quarters, and is located in a bike friendly area. In regards to tourism, Bourbon St. turns into my street after crossing Esplanade Ave; in addition, the city is in the progress of completing the N. Rampart/St. Claude Street Car Line by the end of the September 2016, which is one block from this property for commuter access throughout the city. If you have more than 8 guest visiting New Orleans, please inquire, my neighbor may be willing to host your additional guest. In addition, I allow guest to say for a minimum of two days. Home was very clean neighborhood didn't seem to be the best but it was safe. Thank you for recognizing the cleanliness of the property. Let me re-assure you that the neighborhood is one of the safest and actually very friendly! If you are visiting and would like to have access to fresh produce and a variety of foods, please try St. Roch Market. In addition to it being a market, it also provides a restaurant atmosphere that includes a bar.